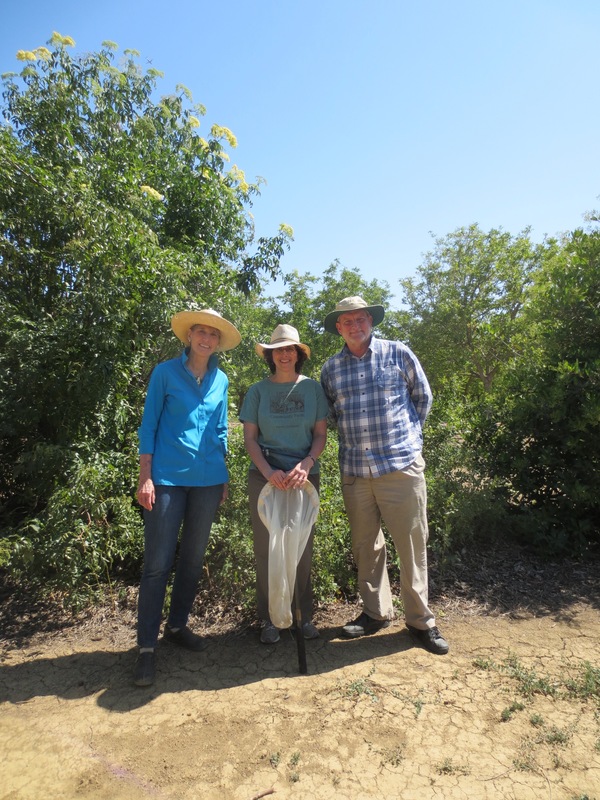 Academics by training, husband and wife Daniel and Sarah Hrdy had little farming experience before moving to California from Massachusetts in 1984 to become professors at the University of California, Davis. They specifically chose to work at UC Davis with the intent of entering agriculture. Commercial farming had captivated Daniel, who had previously served as a clinical professor of infectious diseases specializing in AIDS and HIV research, dating back to his childhood in Fresno. “I burned out mid-career. I found agriculture much more satisfying,” he said. “It occurred after there were effective [AIDS and HIV] therapies, and I was still watching people die because of poor compliance.” Sarah Hrdy, an anthropologist, shared her husband’s interest in farming. She explained, “Most things in life you stumble into. This was actually researched and planned. We had an opportunity to get involved in agricultural because we had inherited land, and we had a willing buyer to swap that land for other land. We thought this was our chance.” Two years after moving to the West Coast, the couple purchased land in Winters. The Hrdy’s first walnut orchard was 30 acres. Today, they grow walnuts on about 450 acres, some 20 acres of which are dedicated to organic crops, primarily for export. Early in their tenure as farmers, the Hrdys became active with the Biologically Integrated Orchard System (BIOS), a pollution prevention program that leverages biological methods to diminish dependence on chemical farming. It was also around this time that they became acquainted with the Community Alliance with Family Farmers. “We didn’t need to be convinced of the Biologically Integrated Orchard System. 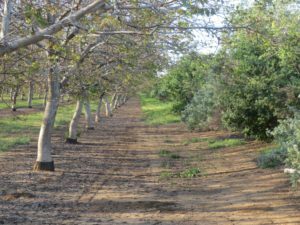 We really understood there was no way pesticides were going to solve problems for farmers, and we needed Biologically Integrated Orchard Systems because we realized pests could outmaneuver whatever pesticides people came up with,” said Sarah Hrdy. “We believe in that.” As luck would have it, farmers with similar beliefs surrounded the Hrdys. 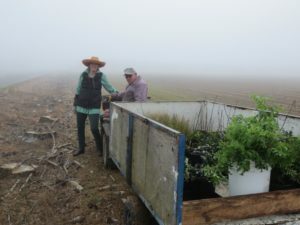 Charlie Rominger, a fifth-generation Yolo County farmer and sustainable agriculture advocate who passed away in 2006, was an inspiration to Sarah and Daniel, and assisted them in developing ponds on their land for groundwater recharge purposes. John Anderson, founder of Winters-based Hedgerow Farms, helped the pair understand hedgerows. “We discovered that we liked doing those kind of projects,” stated Sarah. Not all of the Hrdys’ habitat restoration projects have been equally fruitful, but they tweak them and stick with them until they thrive. “You put in water and you plant trees and over 20 to 30 years, they do come up, and it produces just completely different habitat,” said Sarah. The Hrdys closely scrutinize the outcomes of their efforts to foster the constructive ones and adjust those that are less beneficial. “We are going by our personal experience and observation,” commented Sarah. “It is trial and error. You put in a bunch of stuff and see what goes. We have had a lot of trouble with the native grass we have put in. We have more confidence in the oak trees.” Speaking of hedgerows, she said, “We need to know how these different plants are interacting with each other. We are not 100 percent sure that native-only is the right way to go.” Sarah noticed coyote brush has been doing particularly well. “In the middle of the winter, when nothing else is flowering, the coyote brush is covered with flowers and are very bioactive,” she said. Sarah stressed that UC Cooperative has been an extremely valuable resource. 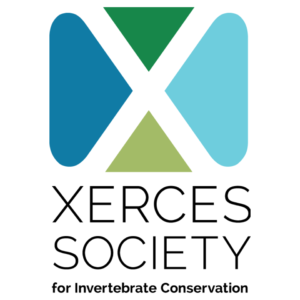 She is a proponent of more research on habitat restoration. Numerous researchers have conducted studies at Citrona Farms, notably Claire Kremen, a conservation biologist from UC Berkeley. “Her team is trying to show ways in which having these hedgerows can increase the productivity of farmers or at least decrease their costs in pesticides,” she said. 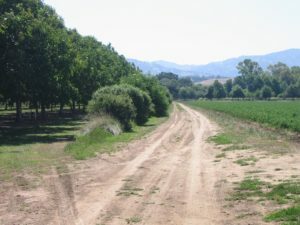 Among the other researchers who have conducted studies at Citrona Farms are Sacha Heath, a graduate student at UC Davis looking at the pest control capabilities of sapsuckers, Kate Ingram, another UC Davis graduate student who analyzed bats’ diets, and Katharina Ullmann of the Xerces Society, who investigated pollinating insects. In addition to the research, Sarah argued for government support of pond creation. “I wish the state would become more involved in putting more ponds in the hills. We need many more small and large reservoirs,” she asserted.